A healthy, nutritious and protein rich dish ideal for a light lunch or dinner. 2. Fry the mustard seeds until they start to splutter. 3. Add the ginger, curry leaves, green chillies and turmeric powder. 5. Add the mixed sprouts, salt and jaggery. 6. Stir well and sprinkle some water (not more than 2 to 3 tblsp). 7. Increase flame and cover the pan with a lid. 8. Cook for 5 minutes or until soft. 9. Remove the lid and cook till all water has evaporated. 10. Switch off the flame and remove. 11. Garnish with coconut, coriander leaves and onions. 12. Serve with lemon wedges. 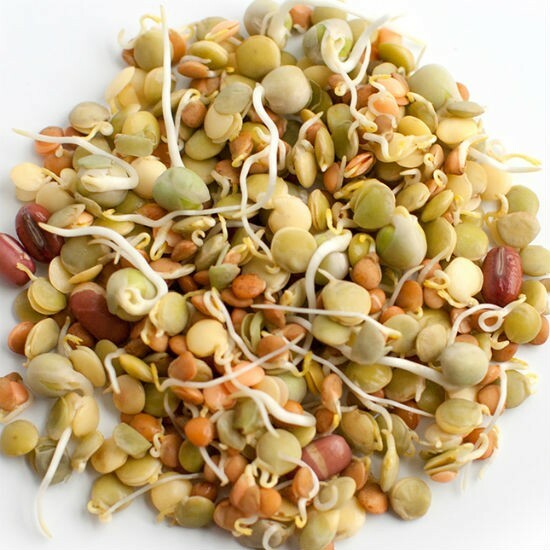 Feel free to comment or share your thoughts on this Mixed Sprouts Usal Recipe from Awesome Cuisine.